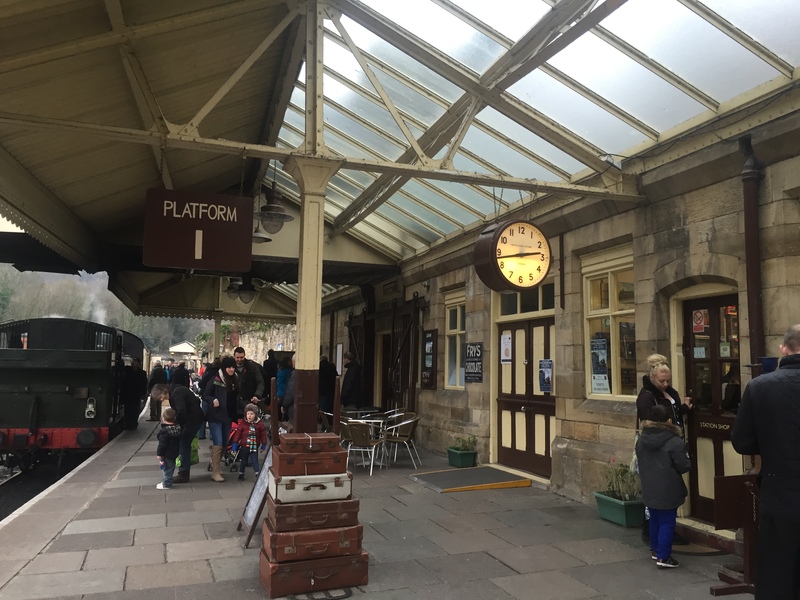 We Are Chester’s Sophie Francis tells us about an event happening at Llangollen Railway this weekend, including some fascinating photos of Chester Station back in the 1960s. Photos of Llangollen Railway courtesy of Angela Ferguson. Llangollen Railway will be playing host to a number of guest engines during their annual Spring Steam Gala – Along Birkenhead lines – this weekend. The locomotives featured tomorrow (Saturday) and Sunday have been chosen specifically to represent classes of engines that would have run on the Great Western Railways Northern Trunk Route. This year marks 50 years since the end of the Paddington to Woodside Express service. Chester City was an important junction on the GWR northern route to Birkenhead. During the gala the railway will be displaying photographs of Chester Station during the 60s. A long lost steam locomotive which spent its final days around Birkenhead 50 years ago will be recreated during the gala. Preserved ‘Black Five’ locomotive No. 45337 will be running as scrapped sister No.45292 for two days only; Friday 3rd and Saturday 4th March 2017. The original No. 45292 was transferred to Birkenhead Mollington Street steam shed in August 1967 and was withdrawn from there the following November. During the gala, the recreated No. 45292 will appear in a weathered condition to show how run-down these locomotives looked during the final days of steam. A second steam locomotive will be recreated for just one day only during the gala. On March 5th 1967, ‘Black Five’ No.44680 hauled a rail tour to commemorate the end of the Birmingham to Birkenhead passenger service. The locomotive was withdrawn and scrapped later that same year. On Sunday 5th March 2017, surviving sister locomotive No.45337 will be masquerading as No.44680 to mark the event 50 years to the day. Two historic road-based visitors will be joining us in the form of 1958 Leyland Titan PD2 (FBG 910 – Birkenhead Corporation No.10) and 1964 Bristol FS6G (4227 FM – Crosville Motor Services No. DFG 157). This type of vehicle could be found on the concourse outside Birkenhead Station to take you further on your journey. They will both be on display on the ramp at Llangollen station over the weekend to give the ambience of Birkenhead Woodside in March 1967! Both vehicles come courtesy of the 201 Group and the DFG 157 Group. The gala will include a number of displays along the line with the local stopping services each day at Berwyn station. It will be handling light goods traffic of milk, perishables, luggage and parcels. Common destinations for the traffic include Cuthberts seeds to Birkenhead (Morpeth) Docks, parcels to Wolverhampton (Low Level) and Salop, milk traffic for Wrexham General and suitcases from Vivod Hall to Birmingham Snow Hill. Lovely photos and article Angela.